Irma, how many books are you working on at the moment? Ten. But they are all in different stages; some are being printed, some proofed. You are known for not getting any briefs for your books. Thats right. Most briefs sound so uninteresting that I get paralysed. How do you work then? We have a discussion with the client and when this goes well, most of the time I get the trust to do the job. It is important for me to talk with the person who can make decisions. I prefer not to work with in betweens. With most of the books you are involved also at an editorial level? Very often, but not always. If it is a very specific or specialised subject then it is difficult. In such a case I concentrate on the image part. But yes, with a lot of other projects I am part of the editorial board and decide on content: text, images, editorial work. Tell me something about Otto Treumann book. I heard he wasnt very fond of it. Yes, he disliked it. He said: Irma its your book. I said: Thats right, I made it. Then he said: But it is a book about me. Yes, It is my book about you, and he didnt like that at all. I returned the question: If you have to make a book about me, it wont be a Irma book, but a real Treumann. That makes design so interesting; you ask a designer you want to work with, because you like the design. It was my own interpretation of work, I wanted to show the best of him. I wasnt trying to be Otto Treumann; I stayed myself. If someone wants to get a book on Otto Treumann why should he get your book? They get a double. That is so good about this series. A young and old designer brought together. You can not avoid that I have an opinion. It is filtered by me. I had a precise idea how to present his work, I have books with work and texts by him. I knew about his methodology. I collected images which I wanted to include in the book to give a more complete picture of him. Of course it is a comment; I show exactly what I like. If the commissioner thinks it is risky he can ask another designer. There are millions of them in the Netherlands. Do you think it is important to reinterpret someone elses work? In this case it was. I was image-editing and of course I showed pieces I like big. I was trying to show almost actual size parts of the posters. It is interesting to see the work in a new perspective. The work is not only historical but also a new inspiration. More or less a revival of the work. Your books are, aesthetically speaking, very beautiful objects. 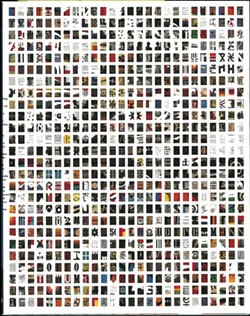 At the same time they are very recognisable, they are very Irma Boom. Do you think you have a signature style? If there is something in common about my books, it is the roughness; they are all unrefined. Very often there is something wrong with them. It is not like Walter Nikkels  very solid where you cant change anything. In my books it doesnt even matter if you change details. Its more the total thing that is interesting. This is true of all my projects  big ones, and smaller ones too. Lets get to the biggest one, the SHV anniversary book. What is it? 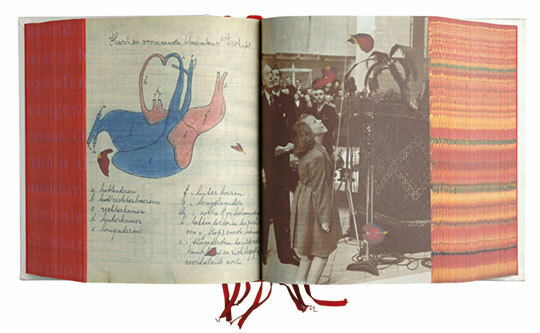 Is it historical evidence, an adventurous print project, or just a corporate book? It is a specific view on the history of the company. That was the interesting part of it. Commemorative books are usually dull. 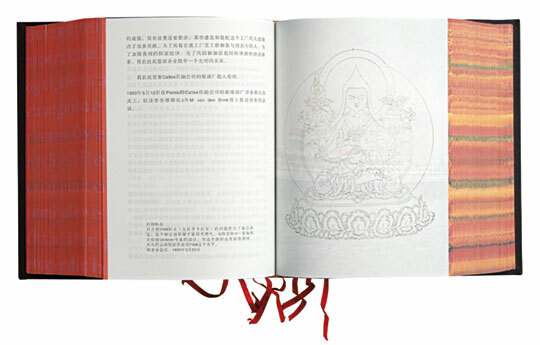 When Johan [Pijnappel] and I started working on this project, we researched commemorative books from all over the world. They usually try to upgrade the firm, portray it in a very flattering light. We thought that it would be interesting to make more of an inspiration book for the employees, especially future employees. And since it is a privately-owned company, the family story is very important. We made a list of keywords interesting for us and for SHV, trying to stay close to our own moral values. The important thing again was that Mr. van Vlissingen, the commissioner of the book, entrusted the whole project to us. How do you feel about making private books? Books, by their very nature, are about sharing and spreading information, making it accessible to those who are interested. In this sense, private press contradicts the idea. Not quite. The SHV book is designed to be distributed around the world too - its pace of distribution is just very slow. We calculated that it needs 500 years to spread to all the places in the world. Every year they distribute a few. 4000 English and 500 Chinese. So eventually they will spread. You were working on this book for 5 years, right? Yes, five years. For three and a half years we really did only the research work in the archives: Utrecht, Amsterdam, Paris, London, Vienna, wherever it was needed to go to. SHV allowed us complete access to the company files, we would also attend shareholders meetings. 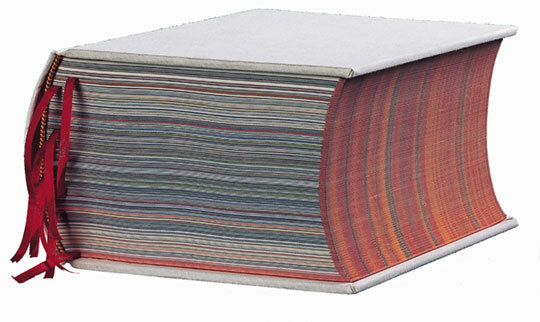 At the beginning we reckoned the book should have some 4000 pages to tell the story. How many pages did it end up with? How did you decide to give it the form it has now? The size was very important for what we wanted to achieve - a book which is a journey not from A to B but from K to D. We didnt want to use page numbers or an indexing system; no clues at all. The book is a voyage; you find things you dont want to find, and discoveries happen by coincidence. The only clues are the dates: the book is made in anti-chronological order covering 200 years. It is a book for the readers mind, including doubts, mistakes and changes. Salient details of SHV everyday life. The president of SHV, Mr. van Vlissingen, is not only an economist but a philosopher as well, and it shows in the unusual way he directs the company. Sometimes he would give directions to people that no-one would understand, very abstract and mind-opening. For him it is more important to discover things for yourself rather then giving instructions or solutions. The book is made in a mutual spirit of both us and the president of SHV. Yes, the brief was: make something unusual. No money or time constrains? Time. There was a deadline; it had to be finished by May 1996. It must have been difficult to make other books after this dream project. Everything must seem less challenging. Dream and nightmare project. Dream because of the conditions, which were ideal - a very good client - but nightmare because of the long, very intense process. There was no light at the end of the tunnel. It was too much  we worked almost 24 hours a day. It was a very good experience, I learned a lot about others and myself. But I must say that since finishing the job, I have a hard time working for people who tell me exactly what to do; it becomes impossible for me to work. I cant even work for someone telling me what size of book I should make. The size is something in my mind which I have to decide on. If I look through your body of work, I see clearly that it was made by one person, there are also elements that reappear in your work. For example, you always use printing on the edges, you like die-cutting holes through the book, using two or three typefaces. Isnt it just stylistic gesture? No, not at all. If I do cut holes in pages, it is always for purpose. I cant design without an idea. But you cant have the same purpose in three different books. No, each one is different and I have specific reasons. 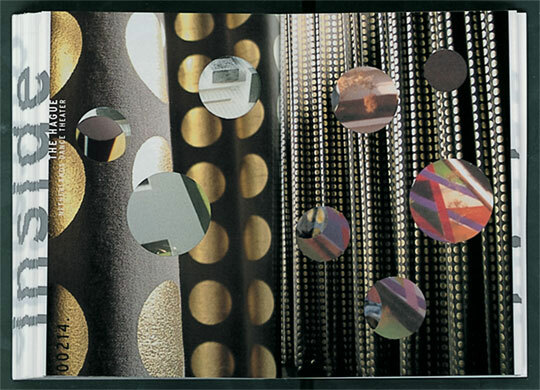 Here [Vitra book] it makes perfect sense because I tell a story through the holes. For Inside outside it is obvious what it means. For SHV [the books starts with holes] where there are only holes and no printing with ink it means we know nothing about the future yet. The holes become smaller when you go from 2096 to 1996. But of course, I also like doing it. Some people like using the same typeface over and over. I have my particular love for things. 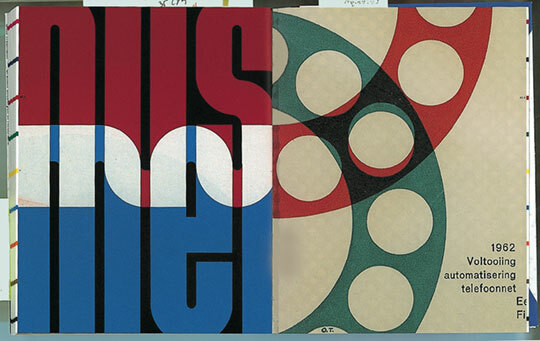 The mistake people make in looking at, for example, the SHV book is talking purely about design and style, never about the content. I always read the text of the books I design. If I dont know the content I cant design. Because I know the content I can go further then other people. Is it true that you are preparing a book about yourself? Yes. Im working very slowly without deadlines. I made an outline, but I dont know how it will look. Perhaps there will be no books in my book. I never look back at my work. When a book is finished it is out of my system, it is really gone. I want to look forward, not backwards.